Spend two days with TapRooT® Training in Canberra and gain expertise and perspective in workplace situations. Learn to find and fix the root causes of incidents, accidents, quality problems, near-misses, operational errors, hospital sentinel events, and many other categories of problems. At the completion of your course, you’ll receive a certificate and a 90-day subscription to TapRooT® VI, the online software service. Importantly, you will have the advantage of professional training in your expertise and on your resume! While you’re in the capital city of Australia take time to become familiar with Canberra. 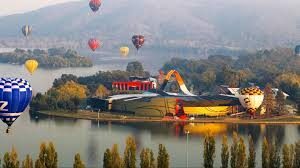 It’s small wonder that Canberra is dubbed “the new capital of cool,” since the city encircled by a sash of mountains had its blueprint determined via an international design competition in 1911. To snap some of the cultural coolness, grab your camera and walk to the Shine Dome, its design inspired by Sputnik I. The National Museum of Australia holds the records of Australia’s social history; even on the outside, this non-symmetrical complex weaves together stories of the Australian confluence of cultures. If you’re lucky, you may catch a rugby match at Canberra Stadium. Cyclists, walkers, and nature lovers experience the best of Canberra’s urban and natural environments on the Centenary Trail; download the app and learn while you take in the history and natural beauty. Tidbinbilla Nature Reserve lets you enter a world of endangered species, as well as a wide range of Australian animals including kangaroos, platypus, potoroos, wallaroos, possums, echidnas, emus, lyrebirds, and many other birds and reptiles. Canberra is only two hours’ drive to the New South Wales south coast with its stunning scenery, unspoiled beaches, and quaint towns. When you’re making plans or while you are there, be sure to use our Canberra Pinterest board to discover adventures, dining and nightspots, and city sights. Attendees should bring safety incidents or quality issues from their work environment to use in a team exercise. These may be written reports, or course participants may share knowledge of an incident without a written report. We’ll divide into teams of 2-4 people, with each team analyzing a unique problem. Advance your professional development through TapRooT® Training: Register for a two-day, game-changing experience in Canberra.